Kris Doolan netted his 100th goal for Partick Thistle as the Jags came from behind to earn a 2-1 win over Ross County at Firhill. Craig Curran's powerful strike early in the second half gave the visitors a surprise lead against the run of play. However, just five minutes later, Doolan completed his century of goals for Thistle with a typically neat and spontaneous finish in the County penalty area. The fan favourite then struck the winner with just 10 minutes left on the clock to give the home side all three points. 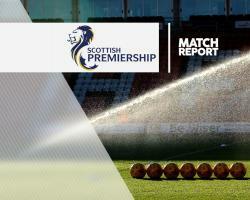 The result strengthens the Jags' stranglehold on sixth spot in the Ladbrokes Premiership while the Staggies will feel they are very much embroiled in a relegation battle. In a first half low in chances and quality, County frustrated the home opposition with some resolute defending in and around the penalty area. But it was the Highlanders who came closest to breaking the deadlock in the opening 45 minutes as Marcus Fraser's header cannoned off the crossbar on the stroke of half-time. At the start of the second half, Thistle should have opened the scoring. After neat interplay in midfield, Chris Erskine raced through on goal but opted to square for striker Doolan instead of shooting, and he was eventually crowded out by the County defence. The forward's powerful drive from 18 yards out appeared set for the bottom corner, but Scott Fox pulled off a stunning save at full stretch to protect the Staggies' clean sheet. And it was the travelling Highlanders who took the lead on 58 minutes when Curran unleashed an unstoppable effort into the top corner as the ball broke to him in the area. Doolan, going into the match on 99 goals for Thistle, showed his predatory instinct to swivel in the box and fire a low drive in at the near post. Moments after, Thistle could have taken the lead had substitute Ade Azeez not been halted by Fox as he homed in on goal. But the Jags were not to be denied and it was again Doolan who registered on the scoresheet on 79 minutes as the frontman latched onto a well worked one-two with Adam Barton before striking low past the helpless Fox.